Love him or hate him, Donald Trump is United State's 45th president. 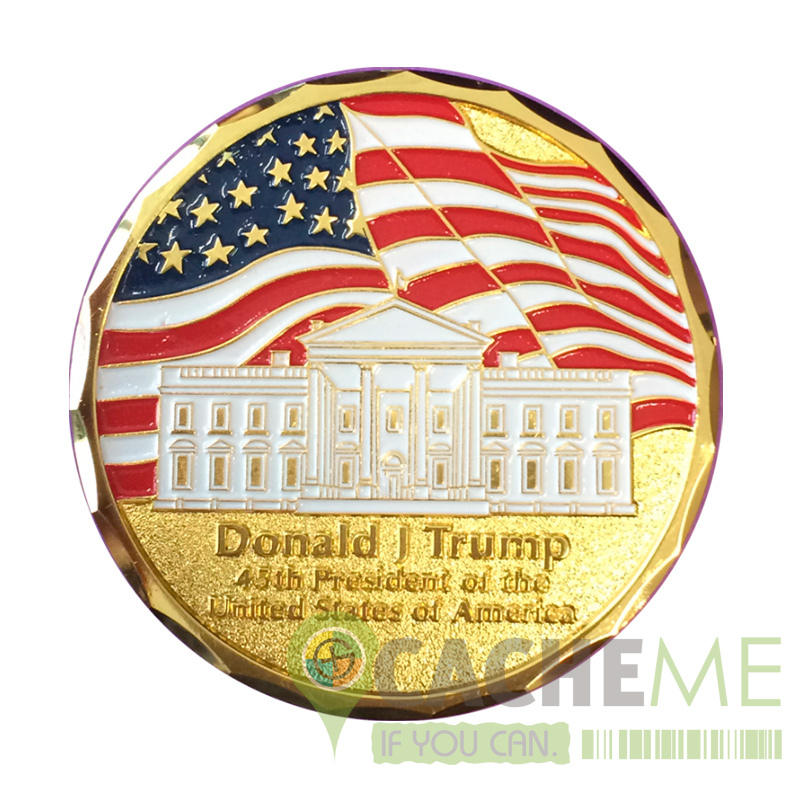 To commemorate his inauguration, we offer this full sized trackable geocoin. 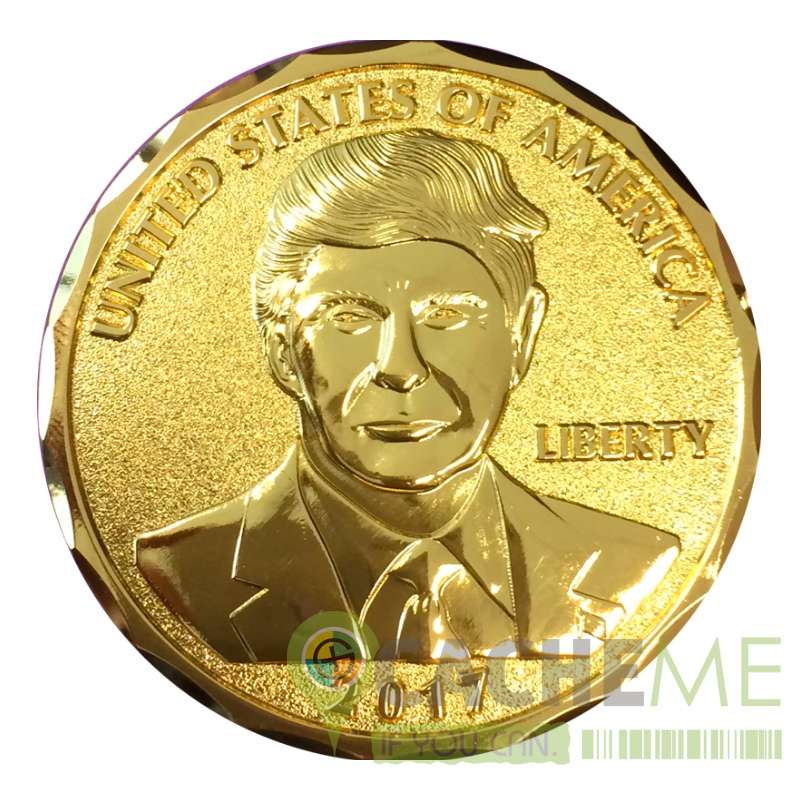 Finished in gold, it is truly appropriate for this new leader and his love for all things shiny.